Sources familiar with the plans have told iMore that the iPhone 5s does indeed have the same basic design as the iPhone 5, with a more advanced processor and an improved camera. With the iPhone 5, Apple made the casing thinner but managed to keep essentially the same, if not slightly better, overall quality. Given the dimensions, or lack-thereof, that in-and-of itself was a feat of engineering. With the iPhone 5s, the aim is to once again raise the bar in terms of iPhone optics, including a much better camera in essentially the same casing. No huge surprises there, given the past history of S-class iPhones. We've also been told an April-ish launch is getting serious consideration for the next-generation iPads, but we're really not sure what to make of that yet. iPad 5 casings have already begun to leak -- the only big redesign in the line -- so that could make sense. 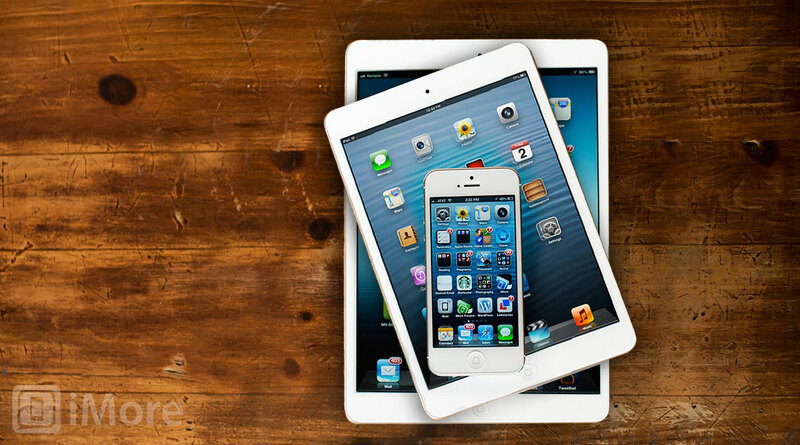 Retina for the iPad mini, however, still doesn't sound imminent. Much of this information matches other recent rumors, though the timelines do differ slightly. Details can and do change, sometimes repeatedly. However, the broad strokes for Apple's 2013 iOS lineup seem to be becoming clearer. Though, again, we're still sticking firm to the belief that hardware alone isn't enough, and iOS and iCloud will be the most important factors going forward.